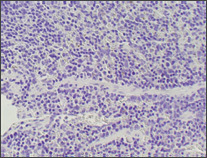 When the immunohistochemical detection systems for human tissue sections are used for staining on mouse and rat tissue sections, the background staining may be caused due to such reactivity with endogenous immunoglobulins of mouse and rat in the tissue. 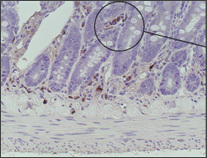 So that the immunohistochemical detection systems designed for staining on mouse and rat tissue sections were developed. 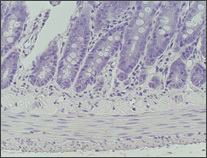 In this report, the background staining is compared between detection systems for mouse, rat and human tissue sections on mouse/rat tissue sections. 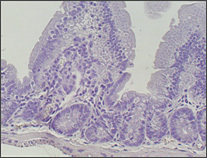 PBS was used instead of a primary antibody in order to identify the background staining caused by detection reagents. DAB solution was used for brown color development. Incubation with PBS for 30 min. Incubation with detection reagent for 30 min. Incubation with DAB solution for 10 min. 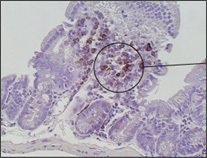 Background staining is not observed. 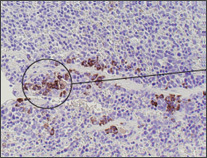 Background staining in plasma cells is observed.